Massachusetts Births and Christenings, 1639-1915, at https://www.familysearch.org, Indexing Project (Batch) Number: I00884-0, Source Film Number: 745869, Reference Number: p 351. "Massachusetts Births and Christenings, 1639-1915," database, FamilySearch (https://familysearch.org/ark:/61903/1:1:V5NZ-DY2 : accessed 25 January 2016), John Bowles, 10 Jan 1763; citing BROOKLINE,NORFOLK,MASSACHUSETTS, ; FHL microfilm 974.47 B1 V2E. "Massachusetts Births and Christenings, 1639-1915," database, FamilySearch (https://familysearch.org/ark:/61903/1:1:V5NZ-FJM : accessed 25 January 2016), Mary Bowles, 13 Mar 1765; citing BROOKLINE,NORFOLK,MASSACHUSETTS, ; FHL microfilm 974.47 B1 V2E. 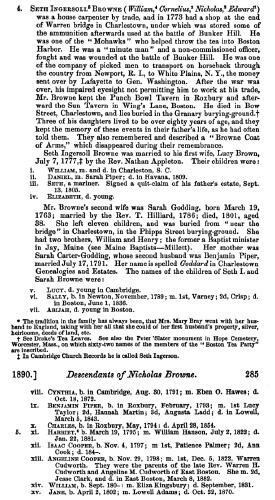 "Massachusetts Births and Christenings, 1639-1915," database, FamilySearch (https://familysearch.org/ark:/61903/1:1:V5NZ-8ZV : accessed 25 January 2016), William Bowles, 13 Mar 1765; citing BROOKLINE,NORFOLK,MASSACHUSETTS, ; FHL microfilm 974.47 B1 V2E. 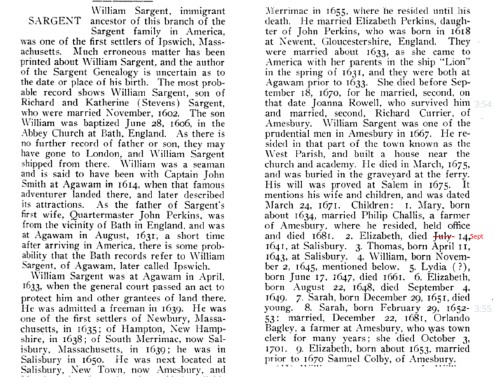 "Massachusetts Births and Christenings, 1639-1915," database, FamilySearch (https://familysearch.org/ark:/61903/1:1:V5NZ-76Z : accessed 25 January 2016), Sarah Bowles, 02 Dec 1766; citing BROOKLINE,NORFOLK,MASSACHUSETTS, ; FHL microfilm 974.47 B1 V2E. 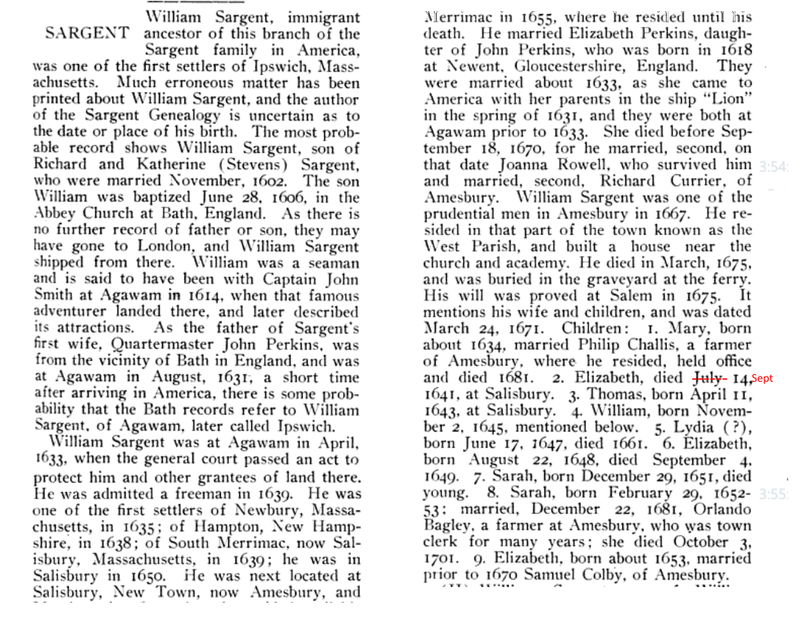 "Massachusetts Births and Christenings, 1639-1915," database, FamilySearch (https://familysearch.org/ark:/61903/1:1:V5NZ-WTP : accessed 25 January 2016), Sarah Bowles, 26 Jan 1769; citing BROOKLINE,NORFOLK,MASSACHUSETTS, ; FHL microfilm 974.47 B1 V2E. "Massachusetts Births and Christenings, 1639-1915," database, FamilySearch (https://familysearch.org/ark:/61903/1:1:V5NZ-78V : accessed 25 January 2016), Eleanor Bowles, 07 Aug 1770; citing BROOKLINE,NORFOLK,MASSACHUSETTS, ; FHL microfilm 974.47 B1 V2E. "Massachusetts Births and Christenings, 1639-1915," database, FamilySearch (https://familysearch.org/ark:/61903/1:1:FHT3-XH3 : accessed 26 January 2016), Elizabeth Bolles, 01 Sep 1772; citing Newton, Middlesex, Massachusetts, 11; FHL microfilm 745,868. 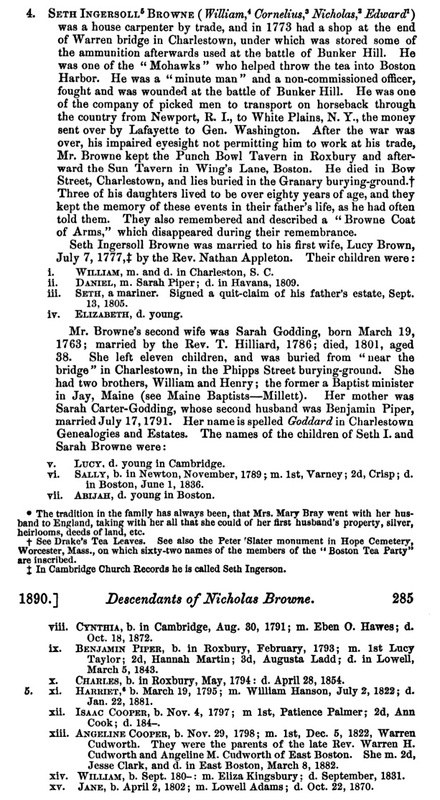 "Massachusetts Births and Christenings, 1639-1915," database, FamilySearch (https://familysearch.org/ark:/61903/1:1:FCGC-897 : accessed 26 January 2016), William Bowles, 09 Aug 1774; citing NEWTON,MIDDLESEX,MASSACHUSETTS, ; FHL microfilm 0844900 IT 2. "Massachusetts Births and Christenings, 1639-1915," database, FamilySearch (https://familysearch.org/ark:/61903/1:1:FCGZ-1B8 : accessed 26 January 2016), Nathaniel Bowles, 13 May 1776; citing NEWTON,MIDDLESEX,MASSACHUSETTS, ; FHL microfilm 0844900 IT 2. "Massachusetts Births and Christenings, 1639-1915," database, FamilySearch (https://familysearch.org/ark:/61903/1:1:FCGC-H1M : accessed 26 January 2016), Josiah Bowles, 24 May 1777; citing NEWTON,MIDDLESEX,MASSACHUSETTS, ; FHL microfilm 0844900 IT 2. Thomas W. Baldwin, Vital records of Reading, Massachusetts, to the year 1850, , at https://archive.org/stream/vitalrecordsofre00inread . Boston, Mass. : Wright & Potter Printing Company, (1912) , p. 502. Seth Browne was born perhaps about 1779. 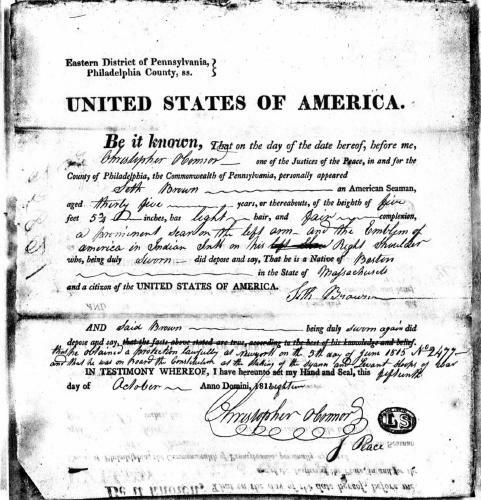 "Massachusetts, Town Clerk, Vital and Town Records, 1626-2001," database with images, FamilySearch (https://familysearch.org/ark:/61903/1:1:FHWJ-JZB : 13 July 2016), Seth Ingersol Brown and Lucy Brown, 07 Jul 1774; citing Marriage, Cambridge, Middlesex, Massachusetts, United States, , town clerk offices, Massachusetts; FHL microfilm 893,860. John Wesley Houghton, The Houghton Genealogy. Descendants of Ralph and John Houghton, , at http://www.archive.org/stream/houghtongenealog00houg . New York: Frederick H. Hitchcock Pub. 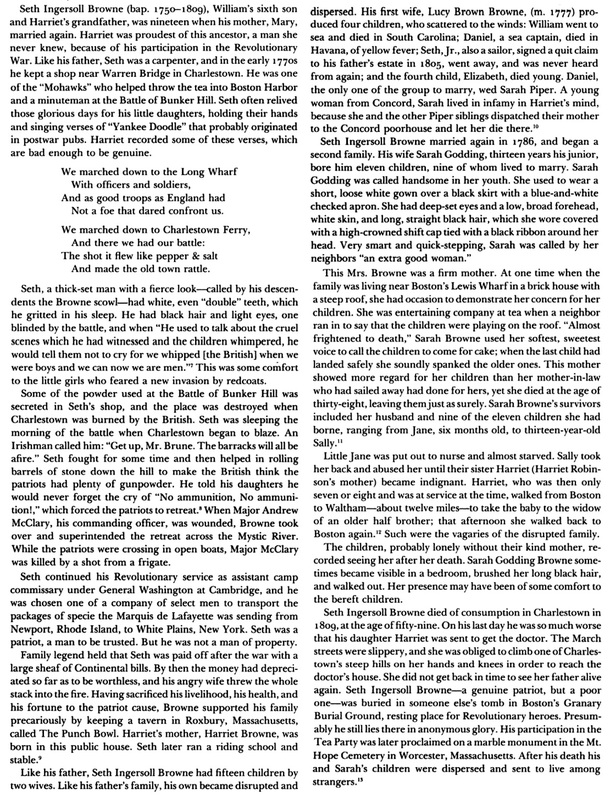 Co., (1912) , p. 338. Watertown Records, Comprising the first and second books of town proceedings..., Watertown, Mass. : Fred G. Barker, (1890) , Vol. 2, p. 63. 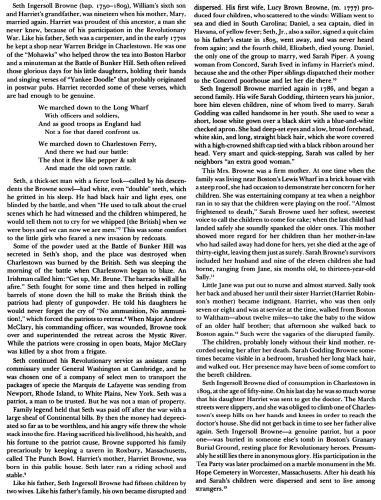 Lucius R. Paige, History of Cambridge, Massachusetts, , p. 633.